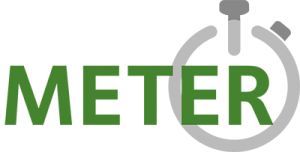 METER is a national research project to understand what we use electricity for. And anyone can take part. This study asks thousands of UK households to submit a one day record of their activities. During this day their electricity use is also measured minute by minute. The combination of activity and electricity data can gives valuable insights into the timing and flexibility of electricity. 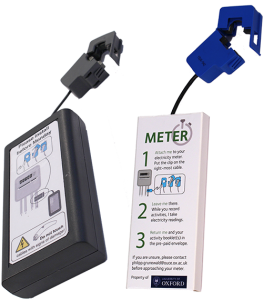 METER data is intended to help with the development of new approaches to reduce demand at critical times, while avoiding inconvenience for users. METER will test different forms of incentives and interventions to establish an evidence base for load shifting against a statistically robust baseline. This becomes especially important when trying to make better use of variable renewable sources of electricity. By identifying a load shifting potential of only 1kW (half the power of a washing machine) in 1% of UK households, the national cost saving could easily exceed a quarter of a billion pounds. The scale of the project is made possible by the innovative use of smart phones. Here is an example of my (Peter Bates) household’s energy usage on 21/22 September 2016. (Note we do have Solar PV and did not use the washing machine that day). You can clearly see the peak usage during the cooking of the evening meal. More information on the METER Project and take part in the research.